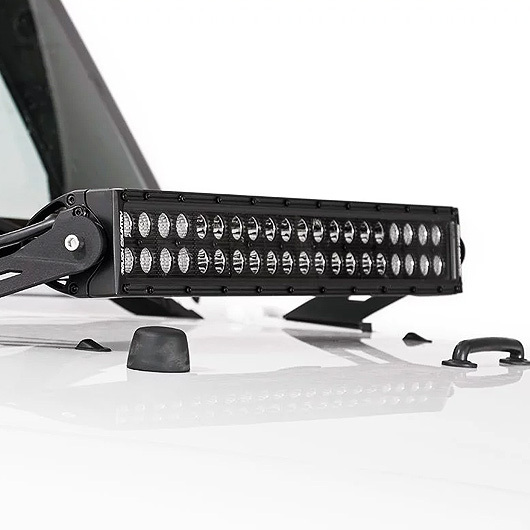 The 20 inch Cree LED Light Bar is a unique LED lighting solution. 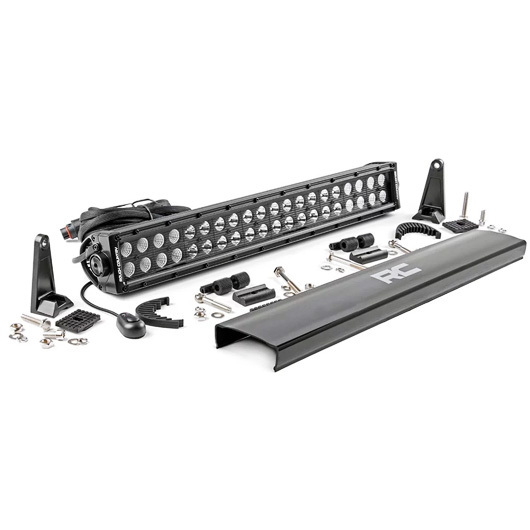 This dual row light bar boasts a powerful 9,600 lumens and 120-watt output in a sleek black panel design. With durable die cast aluminum housing and a waterproof rating of IP67, the 20 inch Cree LED Light Bar has unmatched all-weather protection against the elements. For added peace of mind, a 3-year warranty is also included. The black accent on this LED light bar fits in perfectly with other black vehicle accents and lighting accessories. 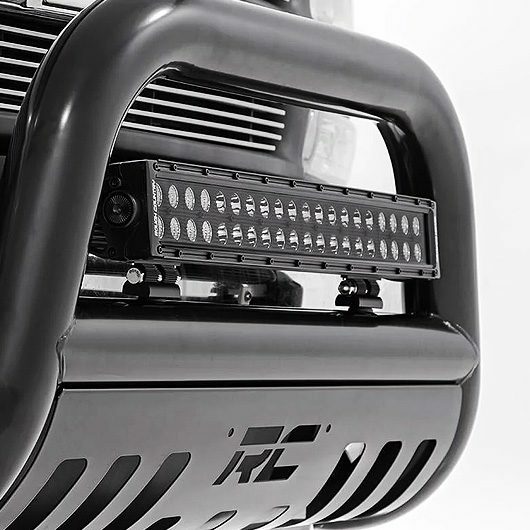 In addition to a sleek design, this product includes noise silencers that eliminate all wind noises associated with mounted LED light bars. The noise silencers snap firmly over the cooling fins. As a result, the silencers prevent any vibrations that would typically generate noise. 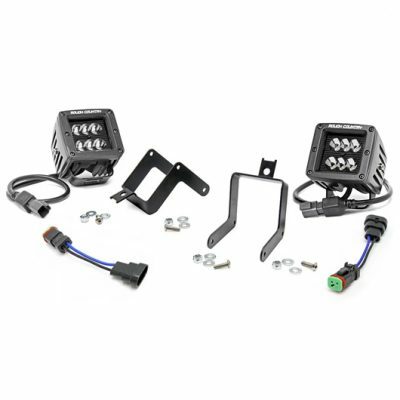 You can use the 20″ Cree LED Light Bar in multiple locations on your vehicle. 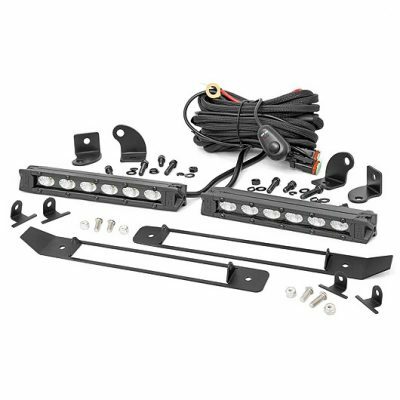 For example, you can mount the light bar to your vehicle’s hood, the grille, or within the bumper. Rough Country’s 20″ LED Light Bar Bumper Mount is a compatible hidden mount system available at Wicked Warnings. 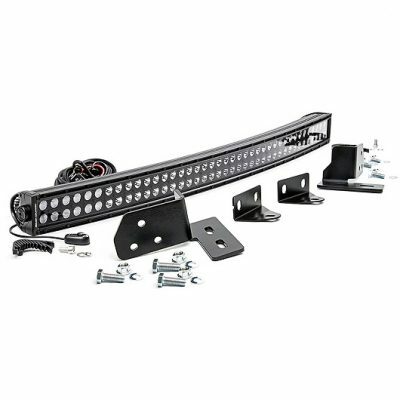 The 20″ hidden bumper mount keeps the brackets and mount hidden from view, which gives the light bar a factory appearance. If you have any questions about the 20 inch Cree LED Light Bar, send us an email at info@wickedwarnings.com for more information.